It’s the Friday after Thanksgiving. Shopping malls are abuzz. But we’re more buzzed by these interesting links from around the art-o-webs. Last week, the National Endowment for the Arts held the Cultural Workforce Forum, a daylong discussion of how art works as part of the real economy. An archive version of the event, with video and slideshows, is now online. At North Shore Art Throb (which, by the way, you should read if you make, enjoy, or are in any way curious about the art scene in the North Shore region), Dinah Cardin has a thoughtful post on online arts writing and where it’s headed. The documentary film The Way We Get By, featured on our blog here, received an IFP and Fledgling Fund Grant for Outreach and Community Engagement. Up top, TWWGB! At the Bunker Hill Community College Art Gallery in Charlestown, a group of Massachusetts filmmakers will screen film & video works as part of Art Gone Green, an arts program exploring environmental issues. On Tuesday, December 1, 2009, at 6:30 PM in the A300 Lounge, there will be a screening of short films by eight filmmakers, including Kristin Alexander, Tim Geers, and Michael Sheridan. On Friday, December 4, 6:00 PM, is a screening of Talking to the Wall: The Story of an American Bargain. The film, by Western Mass. filmmaker Steve Alves, takes a critical look at the effects of chain stores on communities. Both events are free. In the Porter Square Books blog, Cambridge author Matthew Pearl discusses why his book reading events include surprisingly little reading from his books. (And he shares details, some historical, some imagined, of Charles Dickens’s reading at the Tremont Temple in Boston). On the Valley Poetry blog, Allegra Mira looks at seven female poets who light her way as she considers her future on poetry (one is recent MCC Fiction/Creative Nonfiction Fellow D.M. Gordon!). In the WomenArts blog, Northampton novelist Susan Stinson writes movingly about the ways the arts have sustained her in hard times. Twenty-five years ago, when I was in college, my father warned me that a livelihood as an artist would be hard to come by, especially for a woman. I spent the next couple of decades throwing everything I had into making the strongest art I could, working around practical constraints – like jobs—as necessary. Now, four published books and one wandering manuscript later, during a year in which individual, national and global economies are all shaky, I’m facing the unpleasantly specific realities of being close to fifty and far from financial stability. My father was right. He was right, but so was I. A: “Scheherazade and Bugs Bunny.” (from writer/performer John Kuntz). Berkshire Creative notes that the American Airlines in-flight magazine profiles playwright Julianne Hiam as a way to highlight the creative heritage of her region: the bucolic (and artistically prolific) Berkshire Hills. In the Boston Globe, there’s a great description of photographer Cary Wolinsky’s solo show Fiber of Life, at the South Shore Art Center in Cohasset. MCC connections: Cary is a member of the artists collective TRIIIBE along with Alicia, Kelly, and Sara Casilio; TRIIIBE received an Artist Fellowship in Sculpture/Installation in 2009. Also, the article is written by Robert Knox, a past finalist in Fiction/Creative Nonfiction. (For other fellows/finalists news, read our monthly Fellows Notes). Finally, Boston Handmade opens its Downtown Gallery in Boston’s Downtown Crossing today. The gallery features handmade work of artists and artisans – a great way to de-Black Friday your artistic consciousness. 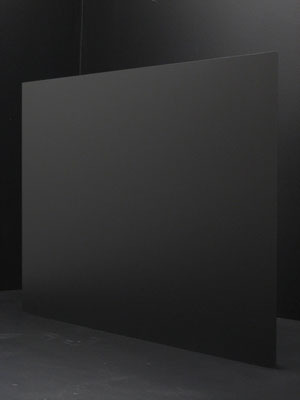 Image: Matthew Rich, WALL (2006), mdf, latex paint 25x34x1.5 in.